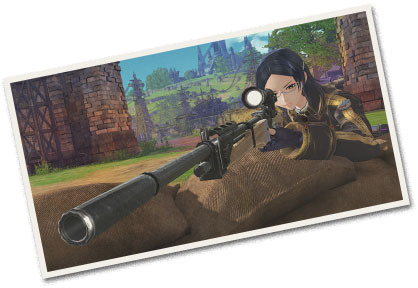 The latest on the Valkyria Chronicles successor. 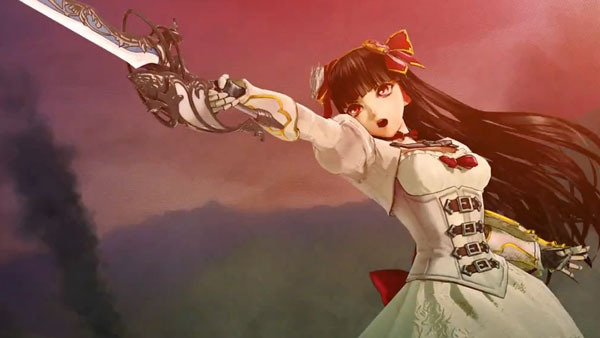 Sega has released an extended teaser trailer, two song making-of videos featuring composer Yasunori Mitsuda and singer Sarah Alainn, and new details on Valkyria: Azure Revolution for PlayStation 4 following its appearance in Weekly Famitsu this week. Ruled by heroine Ophelia’s father, the king through a constitutional monarchy. The king is head of state, but holds little political power. The House of Representatives and House of Lords with the country constitution form the administering royal parliament. Located in the southern part of Europe, it has a warm climate and the agriculture flourishes out of the abundant soil, but the land lacks resources of Ragnite. Because of the hardworking diligence of its people, it is a nation founded on great craftsmanship. In the Holy Era year 1852, four major countries met in alliance focusing on the Rus Empire, later called the “BRuFH Alliance,” and decided a baseless blockade to stop the importation of Ragnite, leading to extreme poverty. That became a big cause of the war that began the following year. 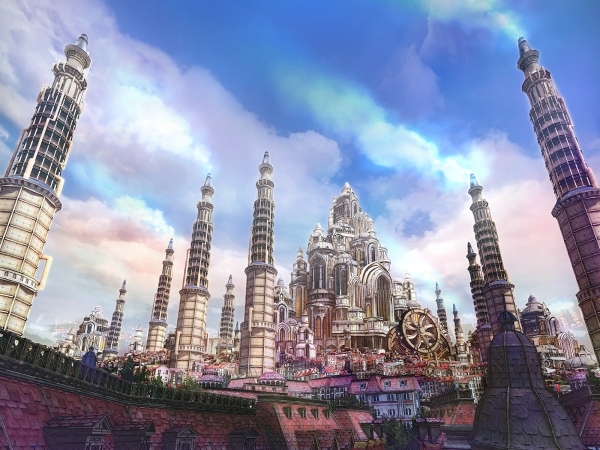 Despite being a founded on great craftsmanship, Magic Arts Industry production stopped across the board as a result of exhausted resources, and the city’s “Azure Light” disappeared. A direct man who fights under the military rule of Rus Empire Emperor Claudius. As a young general of the empire, he’ll often stand before Amleth. He was born in Empire territory, and became a young soldier when selected for military officer training by Emperor Claudius. As a result of an experiment where Ragnite was implanted in his body, he is able to use Magic Arts of overwhelming power. Sega also went up with a page detailing the game’s “Battle Demo Ver. 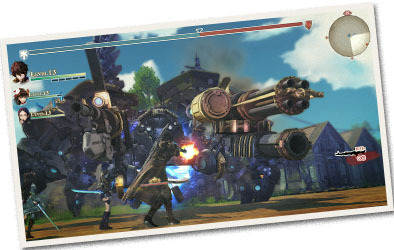 1.0” included with first-print copies of Valkyria Chronicles Remaster. Mission 01: “Morda Practice Fight” – A tutorial mission. Mission 02: “Morda Suppression Fight” – An actual mission with a higher degree of difficulty. Clear Mission 01 to unlock Mission 02. During the Briefing phase, you’ll receive a description of the selected mission and can check its flow and strategy objectives. 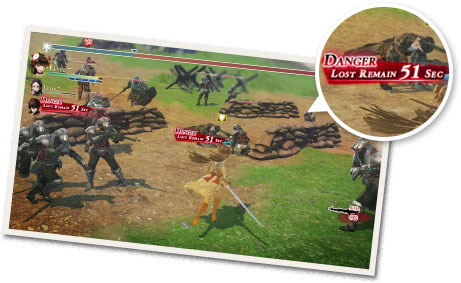 By controlling the player character, you can move around the field and battle. You’ll clear the stage when you achieve the mission goal. After achieving the mission goal, the results will be displayed on screen. Your rank is determined based on the number of enemies defeated and your clear time. This game uses the “LeGION” battle system. 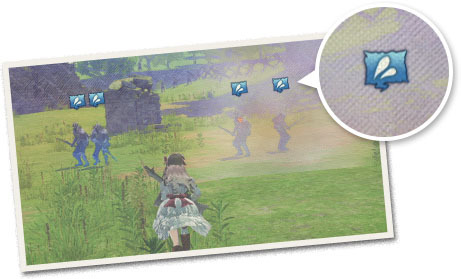 You’ll face a large number of enemy symbols arranged on the battlefield. 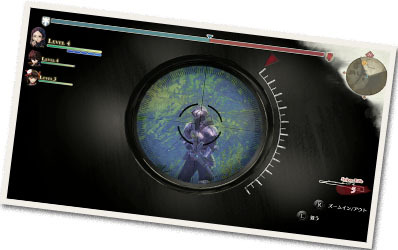 By shooting and using your sub-weapon, aim to create a better condition on the battlefield. 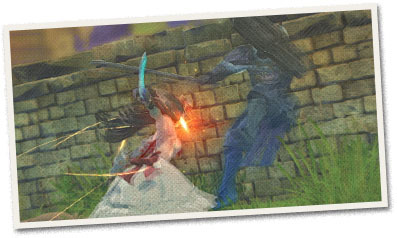 When you approach an enemy at close range, you’ll fight using melee weapons and Magic Arts. Through high-power action, annihilate your enemies in battle. Since the situation created on the field has a significant influence on later battles, strategic action is required. 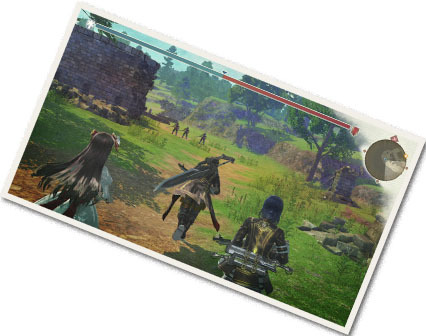 Depending on the situation, characters will have four different “reactions.” By taking advantage of each action’s features and the state of battle, it will be easier to induce the intended reaction. Surprised – Triggered when something unexpected occurs. Because there is a temporary opening when someone is surprised, it can be used as a chance to attack. Impatient – Triggered when in an adverse situation. Since your action frequency and motivation decreases when impatient, you can reduce the potential of a counterattack from the enemy. Angry – Triggered when hostility towards the target is increased. Although anger strengthens attack, defense is decreased, so caution is required. Determined – Triggered when protection awareness is increased. Since defense increases when you’re determined, defensive action is recommended. When the HP of a party member reaches zero, he or she will enter a “dying” state and a death countdown will begin. By successfully “rescuing” party members, it is possible to revive them. However, if a party member’s death countdown reaches zero, they will enter a “dead” state and be withdrawn from battle, never again to be used during missions. 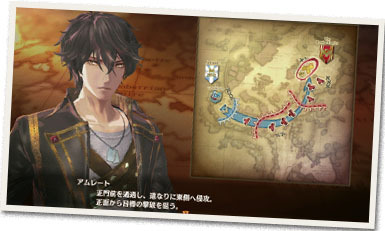 Valkyria: Azure Revolution is due out for PlayStation 4 in Japan in winter 2016. Watch the videos below. View two new images at the gallery.